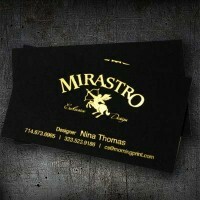 Follow the trendy color black on the business cards. You have the options to use the color black or the black paper make the cards. Either way you should receive many complements on your card. 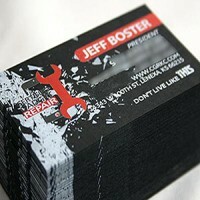 You can apply same add-on techniques on both style of printing but the cost of the black paper business card triples over the glossy or silk cards. 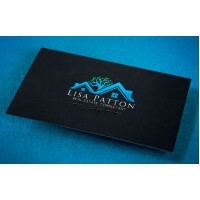 Make sure to minimize the graphic elements and make the fonts bigger than 8pt on the black paper business cards.